This article appears in October 2016: Issue No. 57 of Edible East End. 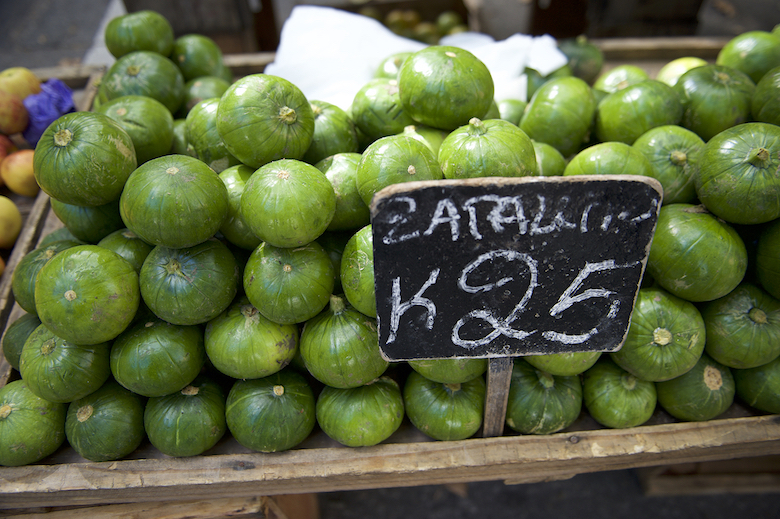 Zappallitos at a farmers feira in Montevideo, UY are a very common squash found in South America. 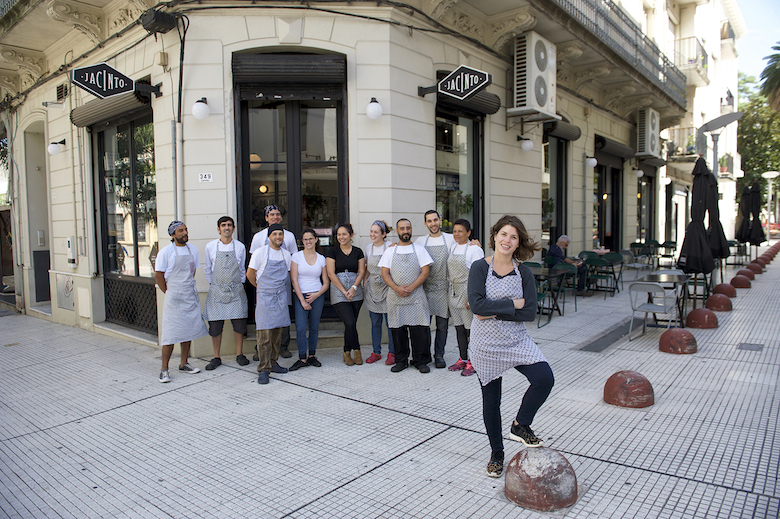 Executive Chef Lucia Soria adn her team pause outside her restaurant Jacinto in Monetvideo, Uruguay. 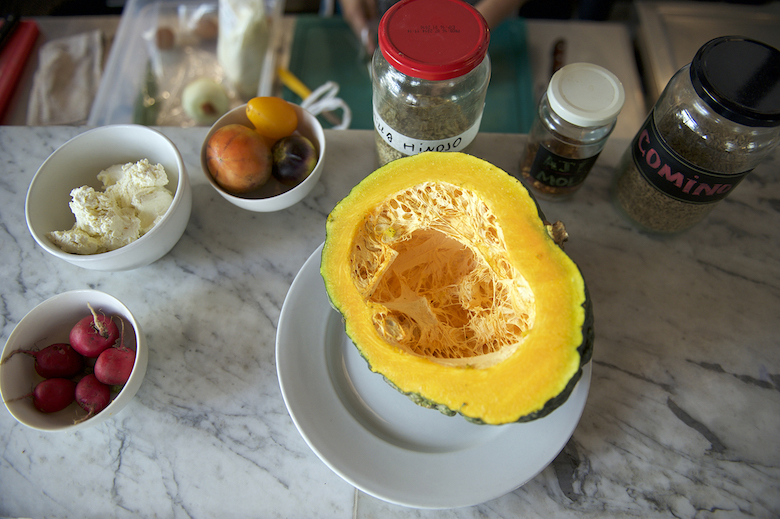 Chef Lucia Soria prepares a Kabutia pumpkin to be roasted at her restautant Jacinto in Montevideo, UY. 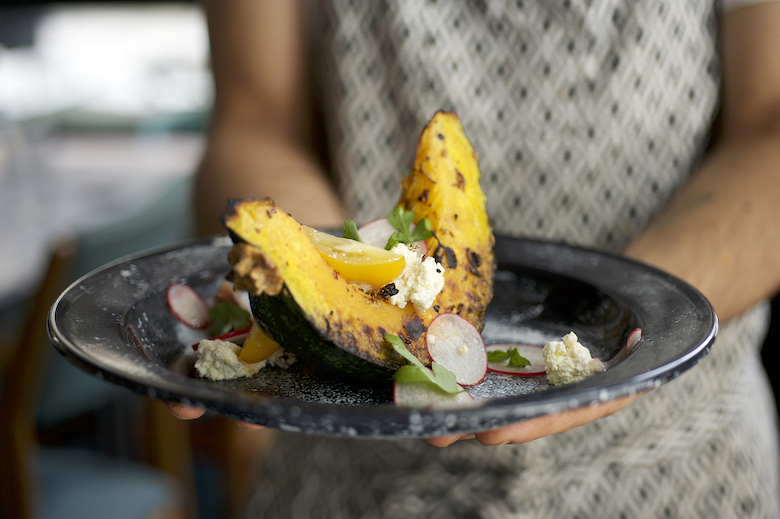 Chef Lucia Soria prepares a slice of roasted Kabutia pumpkin with tomatoes, pink radish and ricotta at her restautant Jacinto in Montevideo, UY. My trip to Uruguay really started in East Quogue, where I met chef Lucia Soria in 2014 while she was the executive chef at Station, a seasonal restaurant. The South American–influenced menu and rustic outdoor garden dining area was so inspiring to me as a photographer, I was eager to learn and see more. 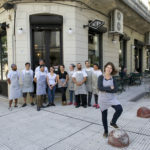 During a brief Q&A with Soria and her head chef, Augustina Gagliardi, I learned that Soria also ran two other restaurants in Uruguay: Lucifer in Garzón and Jacinto in Montevideo. 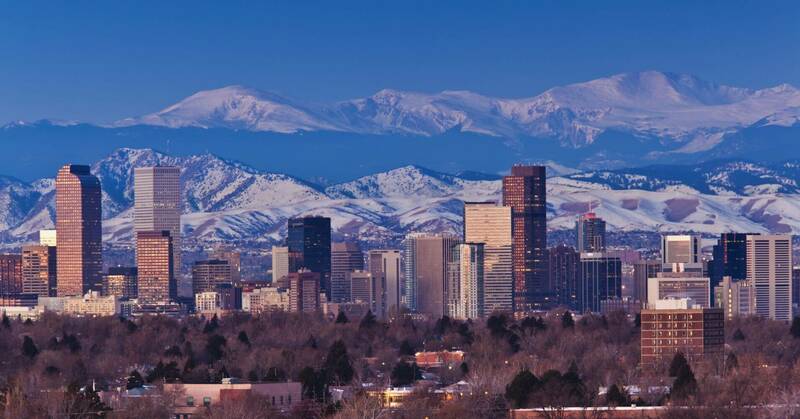 “You should visit,” she said, casually ending our charming conversation. I agreed. 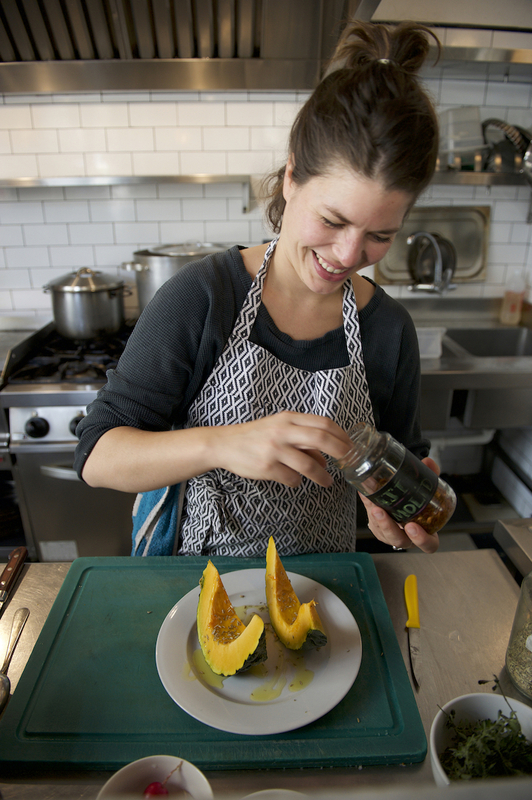 Chef Lucia Soria in the kitchen at her restaurant Jacinto in Montevideo, Uruguay. 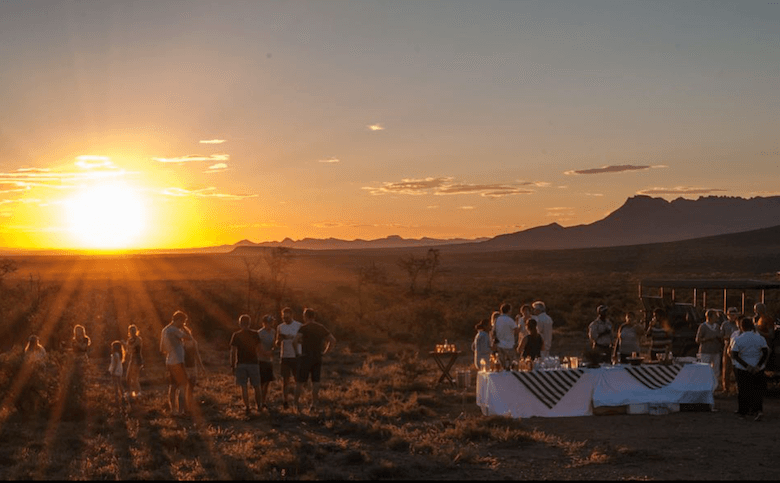 After studying gastronomy, she soon began apprenticing with acclaimed Argentine chef Francis Mallmann at his restaurants Los Negros in José Ignacio, and 1884 in Mendoza, Argentina. 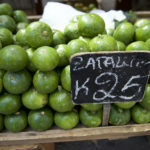 Working on the production of Mallmann’s cookbook Seven Fires brought Soria to Pueblo Garzón, Uruguay, where she took over management of Hotel Garzón. “All of the years I worked with Francis, I remember he had all of Alice Waters’s books, and we were looking at them all day long, admiring her philosophy of treating the ingredients as the main star. 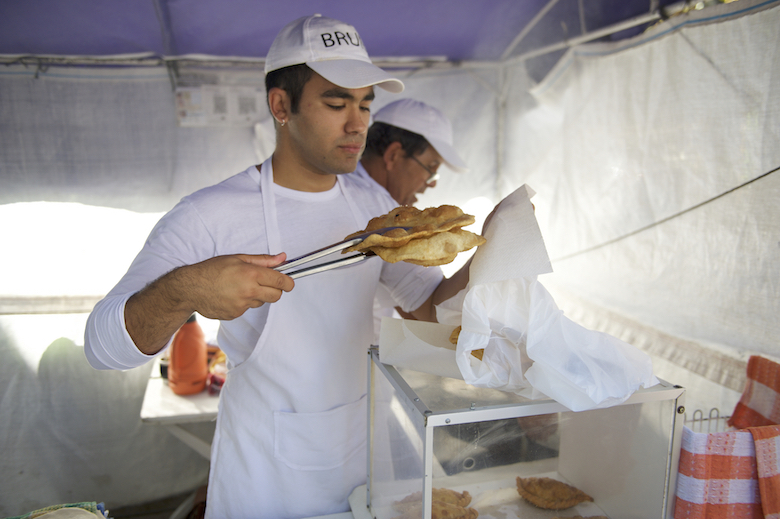 To learn how to do simple things is what makes a good cook,” explained Soria. Jacinto, located on the pedestrian Sarandi, in the Old City of Montevideo, is Soria’s second restaurant. 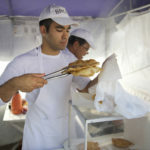 Opening in 2012, and then expanding with a bakery in the adjacent room, Jacinto feels like a local neighborhood fixture. 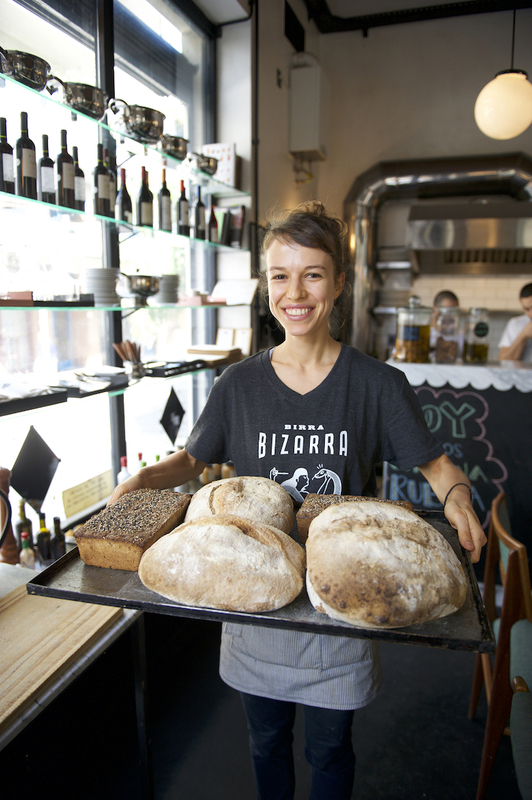 Jacinto café in Montevideo, Uruguay, bakes homemade bread daily. 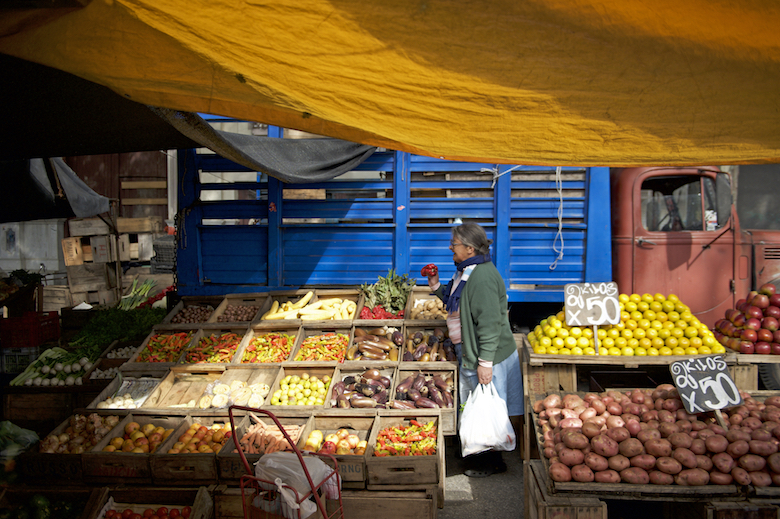 Quality ingredients are key to her cuisine; with special care given to organic vegetables and varietals not common in Uruguay. 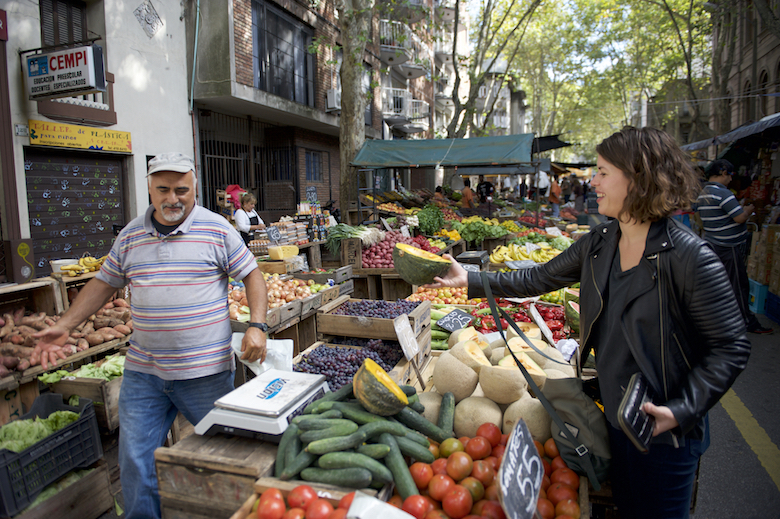 “Our chef Maurizio brought a lot of seeds back from the United States, so we had all these heirloom tomatoes on the menu this summer, which here in Uruguay are very special and so tasty, I love them,” said Soria. 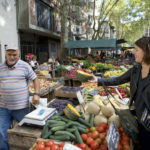 I meet Lucia at Jacinto on a sunny Saturday morning in March where she plans to take me to a local street farmers feria, a common occurrence on most days throughout the city. 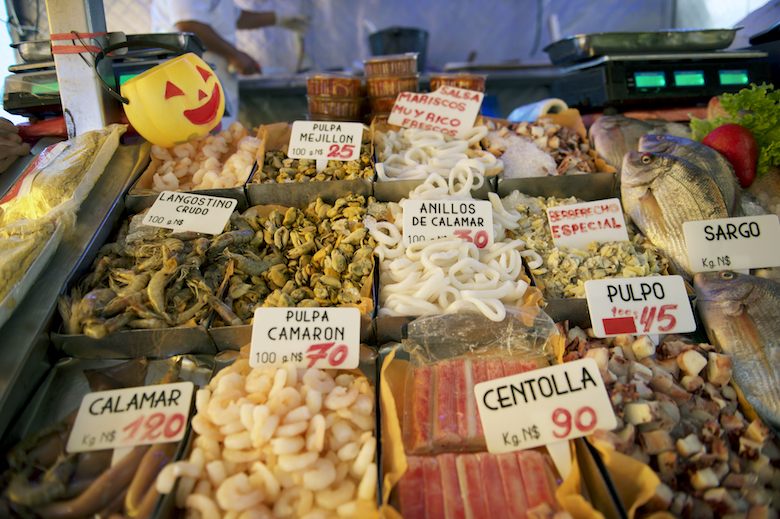 Montevideo’s romantic architecture and jovial residents evoke a sense of tradition paired with good food and wine. 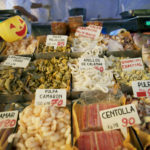 I quickly discover these street markets are the best way to experience the city. 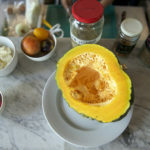 A “very orange and very sweet” kabutia pumpkin–inspired lunch, “roasted and served with ricotta cheese,” teased Soria. How can I resist? We returned to the daylight-filled open kitchen at Jacinto where Soria and chef Mauricio Olivieri prepared our market ingredients for an impromptu lunch, served with a local Uruguayan wine made with signature tannat grapes, “similar to a cabernet, very fruity yet tangy. 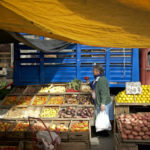 Uruguay has amazing small wineries like Bouza doing interesting things—right,” explained Soria. 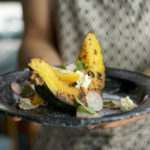 Chef Lucia Soria prepares a slice of roasted kabutia pumpkin with tomatoes, pink radish and ricotta at her restaurant Jacinto in Montevideo, Uruguay. 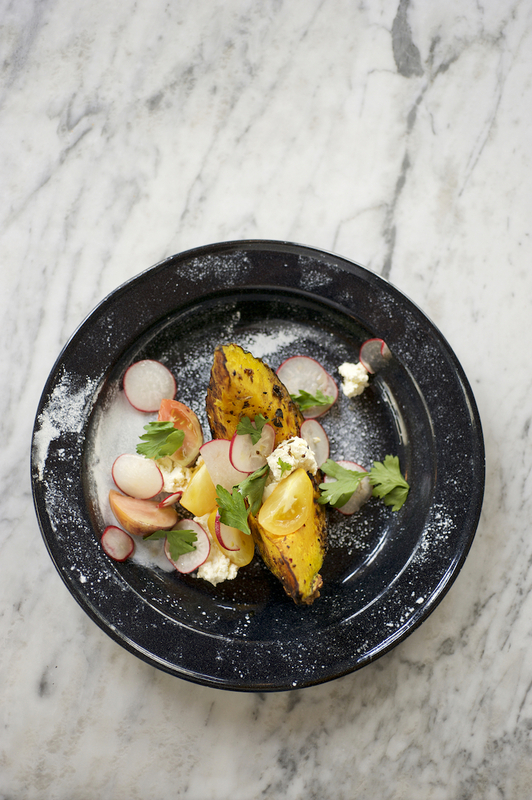 A beautifully plated slice of roasted kabutia pumpkin with tomatoes, pink radish and ricotta is served. “How do you like?” asked Soria. “Mmmm, que rico,” I replied.